The following list contains the ten longest novels that I have read over my lifetime. Starting in the Nineteen-sixties and continuing to this day I have read an average of about seventy books per year. This has included books of many sizes but the ten longest books I have read range from 981 to 2,281 pages in length. Some of these I have read multiple times, including Proust, Mann, Tolstoy, Rand , and Dickens. There were another half dozen books that just missed the list ranging from 825 to 980 pages. I have excluded "genre" novels thus you will not find The Lord of the Rings or The Foundation Trilogy. There are two qualities that all of these novels have in common in addition to length: They are all very good (even great) books and I enjoyed reading all of them (or I would not have finished them). Among these novels there are additional aspects worth mentioning: Vikram Seth's A Suitable Boy has the distinction of being the longest novel that is not partitioned into separate volumes. I believe that is a distinction that it still holds. Robert Musil's novel has an additional 600 hundred pages of unfinished material that are not included in the three published volumes. Writing the novel literally killed him. I am not sure if length is an important measure of the worth of a novel, but I would recommend all of these and hope that you do not hold their length against them. 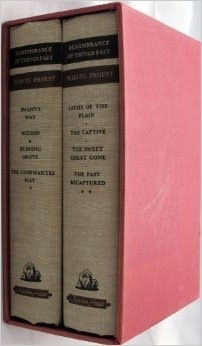 In Search of Lost Time by Marcel Proust (two volumes, 1913-1927), 2281 pp. 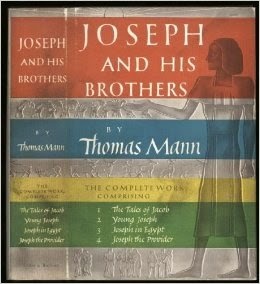 Joseph and His Brothers by Thomas Mann (four volumes, 1933-1943), 1492 pp. A Suitable Boy by Vikram Seth (1993), 1474 pp. War and Peace by Leo Tolstoy (1869), 1386 pp. The Cairo Trilogy by Naguib Mahfouz (three volumes, 1957), 1313 pp. Les Miserables by Victor Hugo (1862), 1194 pp. Atlas Shrugged by Ayn Rand (1957), 1168 pp. The Man Without Qualities by Robert Musil (three volumes, 1951), 1130 pp. Snopes by William Faulkner (three volumes, 1931-1957), 1065 pp. Bleak House by Charles Dickens (1853), 989 pp. Richard Wagner saw the premier of his revolutionary opera Tristan und Isolde at the Königliches Hof- und Nationaltheater in Munich on 10 June 1865 with Hans von Bülow conducting. It was revolutionary for the music was unlike any the audience had heard before; specifically the "Tristan chord" with which the opera begins and which remains unresolved until the final moments of the opera, and marked the beginning of a new age of music that would see the rise of composers from Mahler to Debussy, and Schoenberg with the second Viennese circle. But this music, and the philosophy of Arthur Schopenhauer with which it is imbued, influenced the artistic world beyond music. One of those influenced was a young author from northern Germany who, at the age of twenty-six in 1901, had just published a major family saga and a handful of short stories. This author, Thomas Mann, would write a novella entitled Tristan, setting it in a sanatorium called Einfried, "Enclosure", beside which "the mountains, massive, fir green, and softly rugged, tower toward the heavens." Mann uses music as an integral part of this short story about a middle-class woman, Gabrielle Kloterjahn, who comes under the spell of a writer, Detlev Spinell, who in addition to his writing (he had published one book) was an affable, affectionate, and even enthusiastic aesthete. He was often "carried away in sheer admiration for something beautiful: the harmony of two colors, a vase with a noble shape, the mountains illuminated by the sunset." His response would be simply "How beautiful!" While he is a vain and pompous man, he is capable of great influence with is intense pursuit of his own aesthetic purity. Gabrielle found herself alone in the sanatorium as her burger husband had departed and she was interested to find that there was a "writer" present for she "had never before met a writer face-to-face." It was not long before Herr Spinell was socializing with her and moved quickly from being merely "helpful" to being "devoted" to her. For Gabrielle was an artist herself, as a amateur musician who played the piano. She is at Einfried to rest and recover from a general malaise and weakness following giving birth to a child. She was prescribed a rest cure as part of her potential return to health. While this precluded playing the piano she could not resist the insistence of the charming Spinell to play the piano for him. What harm could there be in yielding to the enjoyment of a simple, yet beautiful, nocturne by Frederic Chopin. This moment that seems so innocent is ironically the moment when the story turns; when the yearning of Gabrielle for something beyond reality, beyond "mere appearances", that has been suggested by her conversations with Her Spinell, becomes something much darker. Mann is not subtle with the coming of sunset yielding phrases like "darkness is already setting in." And Gabrielle observing that "yesterday we still had broad daylight at this time; and now it's already dusk." Thus playing a nocturne is quite appropriate, but she moves on to play another and another. Then Spinell offers her a piano transcription of Wagner's liebestod music from Tristan und Isolde. "the yearning motif, a lonesome and wandering voice in the night, softly utters its anxious question. A stillness and a waiting. And lo, a response: the same timid and lonesome strain, only clearer, only more delicate. Another hush. And now, with that muted and wonderful sforzando, which is like passion rousing itself and blissfully flaring up, the love motif emerged, ascended, rapturously struggled upward to sweet interlacing, sank back, dissolving, and, with their deep crooning of grave and painful ecstasy, the cellos came to the fore and carried the melody away . . . ."
This moment, this music, is the signal that Gabrielle will not recover, that the love she and Spinell have will only last till her death. Her husband is asked to return and, is presented with a strange letter written by Spinell to Herr Kloterjahn, a letter in which Spinell describes his vision of beauty as experienced in and with Gabrielle, but also condemns Herr Kloterjahn as the enemy, the antithesis of true beauty and love. Herr Kloterjahn really has no idea what Spinell means, yet Spinell is also a sickly example, a pale imitation of the true aesthete. The beauty of Wagner's magnificent motif merging Eros and Thanatos is wasted on the merely melodramatic and overwrought pair. The novella ends not just with the death of Gabrielle, but also with Spinell trying to mentally escape from the aesthetic moment he had experienced at Einfried. This is the second in a series on Music and Literature. For the first part go here: Opera and Literature. The Devil is a fable-like short story from the from the latter period of Tolstoy's fiction writing career, almost thirty years after his own marriage. In it two young men, Eugene Irtenev and his brother, are left a large inheritance after the death of their father. In spite of the debts associated with the inheritance, Eugene accepts it and buys off his brother's portion, thinking that he can sell off large tracts of land while making improvements to the rest. Living alone with his mother while working on the farm, Eugene misses the relations he had with women while living in St. Petersburg. After inquiring in the village, he is introduced to a young peasant named Stepanida whose husband lives away in the city. For several months Eugene and Stepanida have intimate encounters, with Eugene paying her each time. Eventually, Eugene's mother thinks it is time for him to get married, preferably to an heiress who will help them with their debts. However her plan is foiled when Eugene falls in love with Liza Annenskaya, a charming middle-class girl, and they are married after Eugene breaks off relations with Stepanida. After a year of marriage, Liza employs two peasant women to help with cleaning the estate. One of them is Stepanida (quelle surprise). When Eugene notices her, all the passion for her that he thought was forgotten comes rushing back (Surprise redux). He can't stop thinking about her and decides that she must be sent away. Liza later suffers a harmful fall while pregnant, and Eugene takes her for a rest cure to the Crimea for two months on doctor's orders. She gives birth to a daughter, and Eugene's financial prospects are starting to look promising. His estate is described as being in the best working condition it has ever been, and he thinks he is finally happy. 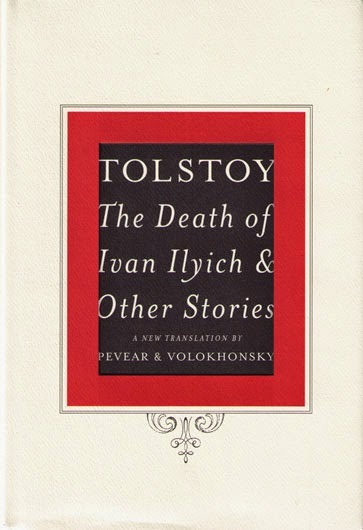 (Following this there are two versions of the ending presented by the translators, Pevear and Volokhonsky) Each version of the ending is fundamentally similar for while in the original version Eugene commits suicide with a revolver, in the revised version he kills Stepanida followed by prison and a return home where he drowns himself with drink. This story seems like a straightforward cautionary tale with Eugene refusing to take responsibility for his own lack of moral fiber or will. Tolstoy is suggesting we should be responsible for our actions, but are we ever really able to control our will? Is there instead an "Imp of the Perverse" who takes control out of our hands and minds? That was an idea suggested by Edgar Allan Poe and it may be the reason why we sometimes lose our mind. If we are luckier than Eugene we may be able to keep our life (if not our mistress). Marilynne Robinson's first novel, Housekeeping, which appeared in 1980, is my favorite of her now four published novels. I read the next two, Gilead and Home, shortly after they were published and enjoyed them as well. They are stories of an elderly preacher, the Reverend John Ames, pastor of a Congregationalist church in a small Iowa prairie town, father of a young boy and husband to a surprisingly young wife. In that first novel set in the hamlet of Gilead, as well as the second (Home), Lila Ames was an elusive figure, a mystery always in the background: Who was she and how did she come to marry the Reverend Ames? In Lila, Robinson’s new novel, her story is told through an unusual love story, one shaped in no small amount by the questions Robinson has asked for her entire career: What is the meaning of suffering? Do any of us have hope of redemption? The novel traces the life of the indigent Lila from about the age of five in 1920 through her marriage to the elderly Reverend Ames and the birth of their son 30 years later. As she prepares for the child’s arrival, her thoughts tell us of her distant past as an itinerant farm worker during the great dust storms of the Depression and her subsequent years in a St. Louis brothel, but returning always to the woman, called Doll, who raised her. The opening of the novel is brutal in its realistic depiction through Lila’s memory of herself as a girl shivering outside a backwoods cabin at night. Will it do her more harm or good if she howls to be let back in? “She couldn’t holler anymore and they didn’t hear her anyway, or they might and that would make things worse. Somebody had shouted, Shut that thing up or I’ll do it!” Treated worse than a stray dog, the girl doesn’t know who her family is, or even her own name. The same night she is rescued and carried off by Doll, a poor drifter who becomes like a mother to the girl, and names her Lila. Lila is a novel of no small questions. “I just been wondering lately why things happen the way they do,” Lila observes to Reverend Ames, when, as a newcomer to Gilead she stops by the widower’s house unannounced, to his alternating delight and embarrassment. He doesn’t handle her question except to offer the tautological reply that life is a “very deep mystery, and that finally the grace of God is all that can resolve it. And the grace of God is also a very deep mystery.” These awkward, searching conversations between them continue, composing a unique courtship during which they discuss her somewhat-accidental theological questions and she spontaneously suggests they get married. She is so uncomfortable with herself, consumed with a loneliness she both reveres and regrets, that she can barely stand to look other people in the eye. But in the Reverend she sees a similar aloneness and a kindness she cannot quite comprehend. The book is punctuated by their earnest dialogues, in which they fumble toward better understanding themselves, each other, and how they feel about hoary doctrinal concepts like salvation and damnation. Quotes from the Bible, primarily the prophet Ezekiel, are interspersed with references to Calvin--heady stuff. The book is dialectical in this way, these halting conversations akin to hinges, each one representing a moment when Lila opens just a bit in a new direction. Even when she’s alone, she carries on devising questions for the man she’ll always call “the Reverend,” like “What do you ever tell people in a sermon except that things that happen mean something?” Her candor and perseverance help move him away from the rote complacency he’s allowed to take root during decades of pastoral work. "In the day thou wast born thy navel was not cut, neither wast thou washed in water to cleanse thee ... No eye pitied thee." "She kept thinking, What happens when somebody isn’t herself anymore? I seem to be getting used to things I never even knew about just a few months ago. ... Maybe it’ll be something the old man liked about me that will be gone sometime, and I won’t even know what it was. She found herself thinking she might stay around anyway. She thought she’d always like the feel of him, she’d probably always like to creep into bed beside him. He didn’t seem to mind it." In spite of the intensity of the story and its serious message, or perhaps because of it, I was not as impressed with this further tale of the residents of Gilead as the earlier novels. Robinson is effective in depicting the simple nature of Lila and she does very effectively demonstrate the trust that is established between Lila and the Reverend. However, she does not convince me that such a simple person could maintain her personality while delving into the theological issues that she raises. On the other hand, Reverend Ames seems incapable of providing answers with his responses frustratingly brief and platitudinous. They were not convincing for this reader, but Lila seemed not to mind. There are also unusual details that do not seem to fit with the story. For example, there is a knife that is extremely important to Lila from her early difficult years, yet unlike Chekhov's gun it's use is memorial and no future action of import comes of the knife in the story. Robinson writes with a beautiful prose style, but the content of this book made its average length seem too long for the story that it contained. This was the first of Arturo Perez-Reverte's books that I read and it was a great beginning. 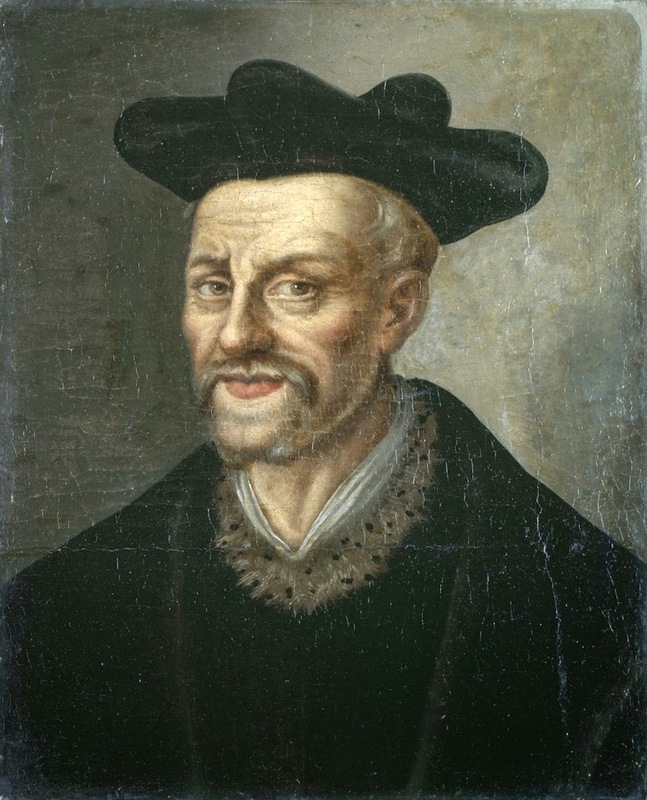 While he is a popular author in Spain he was not as well known in the United States prior to the success of this novel. At the center of the story is Julia, an art restorer who discovers a strange inscription on a Flemish painting and becomes drawn into a solving the mystery that is poses. While restoring "The Game of Chess", a painting by the fifteenth century Flemish master Pieter Van Huys, she uncovers the hidden inscription: "Who killed the knight?" Intrigued, she goes to her ex-lover, art historian Alvaro, for background information. Alvaro dies soon afterward under suspicious circumstances. To solve the mystery of Alvaro's death Julia must first unravel the enigma of the painting and the complicated relations of the lives of the people depicted in the painting. The narrative effectively covers her struggles with this mystery as Spanish author Perez-Reverte analyzes the painting in great detail. Many questions are raised in this process. What were the chess moves that led to the position depicted in the painting? How will the game play out? The murderer taunts her by dropping notes to Julia, and each new move is reflected in threatening events around her. I was held in suspense as the narrative kept me oriented with diagrams of the board as positions changed and pieces were taken. There is the challenge of the chess problem as well as the murder mystery. The milieu of museum curators and experts and auctioneers provides a convincing setting; the historical background is informative and entertaining. There is a marvelous intertwining of symbol with reality that makes The Flanders Panel a unique and intelligent mystery. It creates a sense of mystery that evokes John Fowles' The Magus or Thomas Pynchon's The Crying of Lot 49 from my reading memory. It was well-researched and suspenseful and my enjoyment of it led me to seek out other books by this author, among which I would recommend The Club Dumas. In the early 1950s, near the end of his life, Thomas Mann wrote a novella about a widow, Frau Rosalie von Tummler, and her two children, Anna and Eduard. This story, The Black Swan, was based, like many of Mann's stories, on his observations and experiences of his own life. In a way the story mirrors Death in Venice written four decades earlier. That story told of the love of an older man, Gustav von Aschenbach, for a young boy. In the Black Swan we have an older woman, Rosalie, falling in love with young twenty-four year old American. The story describes the American, Ken Keaton, as having "nothing in particular to offer except his fine physique". In one of her lengthy discussions with her daughter Anna, Rosalie idealistically describes Ken as "an absolutely exceptional human being, with a life that touches one's heart." Her daughter tries to counter this idealism with her own voice of realism to no avail. Just as in the earlier novel Eros has overtaken Rosalie to such a degree that she believes her body is defying nature by becoming more youthful. The tragedy in this story is the reality that Eros is accompanied by disease and, ultimately, death. This is signaled not only by the title of the story, The Black Swan, but from the first page when the death of her husband a decade earlier is highlighted with the poignant detail that it was due to a senseless accident while he was experiencing "superabundant vitality". Throughout the novella Mann uses nature to provide a contrast with the artificial nature of Rosalie's idealistic aspirations. His depiction of two women who both have strong views is effective although rare in his fiction. In this story they know each other well, yet continue to approach the events from opposite views that seemed to allow no compromise. However Rosalie does think about what Anna has said "about 'living in contradiction to herself,' she remembered and pondered over, and she strove in her soul to associate the idea of renunciation with the idea of happiness. Yes, could not renunciation itself be happiness, if it were not a miserable necessity but were practiced in freedom and in conscious equality? Rosalie reached the conclusion that it could be. "(p 105) Even here Rosalie is still idealistic and not ready for the denouement that will involve changes to her body that she can neither ignore nor control. This is an unusual story, but if considered as I suggested above, in light of Mann's portrayal of Aschenbach in Death in Venice, it is consistent with Mann's concern with life and death in light of classic themes of reason and passion. Even at the end of his brilliant career Thomas Mann was powerful and insightful in his exploration of the nature of humanity. Peter Camenzind is usually classified as a novel of education or bildungsroman. However I see two different fictional strands woven into this narrative: the story of a spiritual journey and a picaresque nature. Thus a simple and even mythic poetical story is filled with complexity that welcomes the reader willing and interested in exploring the meaning of Camenzind's education. Beginning with the myths of his childhood and continuing for about two hundred pages over eight chapters Peter narrates his experiences. It is a narrative style that is familiar to any who have read Demian or Steppenwolf. The novel opens with the phrase, "In the beginning was the myth. God, in his search for self-expression, invested the souls of Hindus, Greeks, and Germans with poetic shapes and continues to invest each child's soul with poetry every day. "(p 1) The novel is purely poetical, and its protagonist in time aspires to become a poet who invests the lives of men with reality in its most beautiful of forms. I found the story reminiscent of those of Siddhartha, Goldmund, and Harry Haller. Like them, Peter suffers deeply and undergoes many intellectual, physical, and spiritual journeys. Through these journeys he experiences the diverse landscapes of Germany, Italy, France, and Switzerland, as well as the breadth of emotions that humans experience during their lives. In a later stage of his life, he even embodies the ideal of St. Francis as he cares for a cripple. Peter Camenzind, as a youth, leaves his mountain village with a great ambition to experience the world. I was reminded of Stephen Dedalus setting out for life at the end of The Portrait on an Artist as a Young Man. He heads to the university to escape his earlier life and eventually meets and falls in love with the painter, Erminia Aglietti and becomes a close friend to a young pianist named Richard. Greatly saddened because of the latter's death, he takes up wandering to soak up the diverse experiences of life. Ever faced with the vicissitudes of life, Peer continually takes up alcohol as a means to confront the harshness and inexplicable strangeness that he encounters. He also meets and falls in love with another woman, Elizabeth, even though she will later marry someone else. Nevertheless his continuing journey through Italy changes him in many respects and changes his ability to love life and see beauty within all things. It is a new friendship with Boppi, an invalid, that helps him truly experience what it means to love other human beings. It seems that he comes to see a wonderful reflection of humanity in its best and noblest forms in Boppi, and the two forge an unbreakable friendship. This is a novel that begins to explore some of the great themes of Hermann Hesse's later work. It is interesting to see these early stirrings and look forward to reading and rereading his later work with a deeper perspective. This is a story that begins as a fairy tale romance and ends in maternal happiness or sadness depending on your point of view. Narrated by Masha, a teenage girl, the story tells of a courtship that has the trappings of a mere family friendship. Masha falls in love with an older family friend, Sergey Mikhaylych who is in his mid-thirties. Eros grips Masha and her love develops until she must reveal it to Sergey Mikhaylych and discovers that he also is deeply in love. If he has resisted her it was because of his fear that the age difference between them would lead the very young Masha to tire of him. He likes to be still and quiet, he tells her, while she will want to explore and discover more and more about life. Is Masha naive? Perhaps, but she may merely be willful. Her view of their "love" is idealized and she is unsure about her own consciousness of the world she has entered at such a young age. Nonetheless the couple are apparently passionately happy, so they engage to be married and move to Mikhaylych's home. Out of respect for her, Sergey Mikhaylych allows his young wife to discover the truth about the emptiness and ugliness of "society" on her own. But his trust in her is damaged as he watches how dazzled she is by this world. Finally they confront each other about their differences. They argue but do not treat their conflict as something that can be resolved through negotiation. Both are shocked and mortified that their intense love has suddenly been called into question. She notices, "His face seemed to me to have grown suddenly old and disagreeable". (p 80) Her idealism has faded and with it the romance of her relationship. Because of pride, they both refuse to talk about it. The trust and the closeness are gone. Only courteous friendship remains. Masha yearns to return to the passionate closeness they had known before Petersburg. They go back to the country. Though she gives birth to children and the couple has a good life, she despairs. They can barely be together by themselves. Finally she asks him to explain why he did not try to guide and direct her away from the balls and the parties in Petersburg. The novella ends with a suggestion that she has accepted maternal happiness. Will this carry them forward together? And at what price--the loss of Romance? While this seems bleak, there is hope by the end of the story with the suggestion that maternal love could be the foundation for a different kind of "Family Happiness". In the world of Science Fiction alien creatures are common characters. Often these creatures have superior intelligence. The novel Sirius by Olaf Stapledon imagines what would happen if a scientist created a super-intelligent dog. Set in Wales and, briefly, Cambridge and London during the years before and during World War II this is a realistic portrayal of the creation of just such a dog. Thomas Trelone is the scientist who creates the super-intelligent dog, named Sirius. He is the only dog to have attained a human-like intelligence. Through a number of experiments Thomas has created better dogs who have an intermediate intelligence (they are above the dog's average intelligence, but they cannot master human language and complex analytic thinking as Sirius does). A sense of existential questioning suffuses the book, as the author delves into every aspect of Sirius's psyche. The novel deals with a large number of human issues through Sirius and his experiences, his unusual nature, his ideas and his relationships with humans. Sirius is raised in North Wales, near Trawsfynydd. He is born at the same time as his creator's human daughter, Plaxy, and both of them are raised together as brother and sister. The characters go to great lengths to prevent Sirius from becoming a circus-type wonder-dog, and instead, they seek to develop Sirius's character much like a family would create and foster that of a human child. The intelligence of the dog is comparable to a normal human being, as he is able to communicate with English words, although it takes some time to understand his canine pronunciation. The story is fascinating through honest portrayal of the disadvantages that Sirius faces in spite of his intelligence. The lack of hands reminds one of how much we take our own hands for granted, but there are other unique issues like Sirius's wolf-like nature which overwhelms him at times and leads to serious issues that Thomas did not foresee, but must nevertheless address. There is also the difficulty of Sirius's relationship with Plaxy which is close but strained as she grows older and leaves home. Interestingly she is not as interested in serious learning and contemplation as is Sirius creating another difficulty. In the end Sirius writes a book and starts another. Stapledon writes with a lucid style and presents the world of Sirius with a realism that depicts his problems and accomplishments in a wholly believable way. 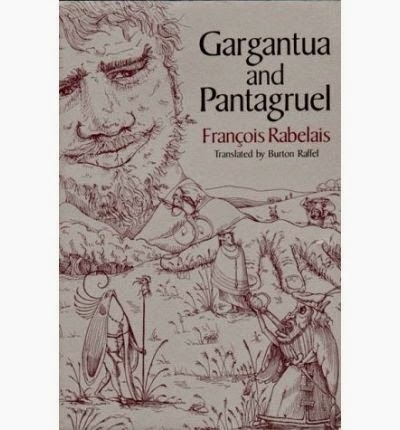 Sirius's interest in the meaning of life and his spiritual nature were some of the most unexpected yet interesting aspects of this delightful work of speculative fiction.